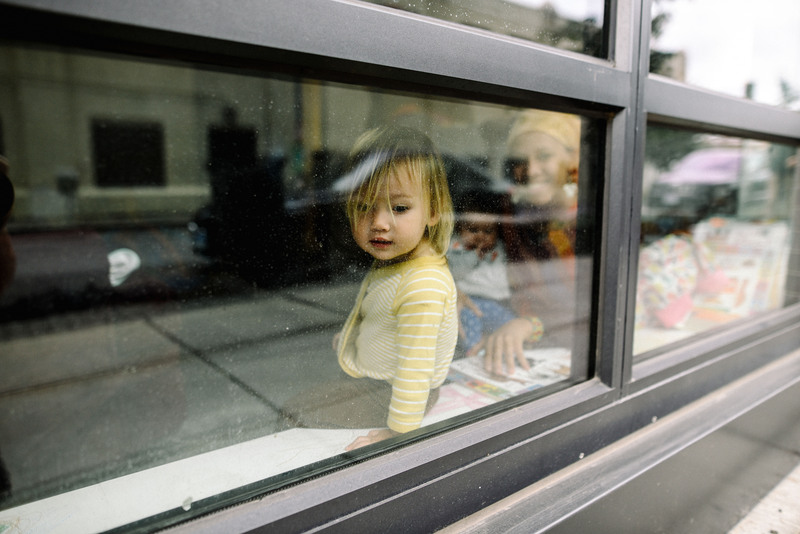 Artist Mother Studio (AMS) is an artist residency with childcare. AMS will conclude with a mini-conference and a zine on November 3. The project has been organized by DC artist Amy Hughes Braden, with the participation of three artists—Leah Lewis, Katherine Tzu-Lan Mann, and Anne Smith—and their four children, who range in age from several months to 3 years. Braden hopes AMS will elevate the voices of artist mothers/caregivers and continue important conversations about communal labor and how mothers can leverage their experiences for positive social change. But most of all, AMS foregrounds the dependency and entanglement of being a caregiver (a loss, in a traditional sense, of personal freedom) as a generative position from which to create art. 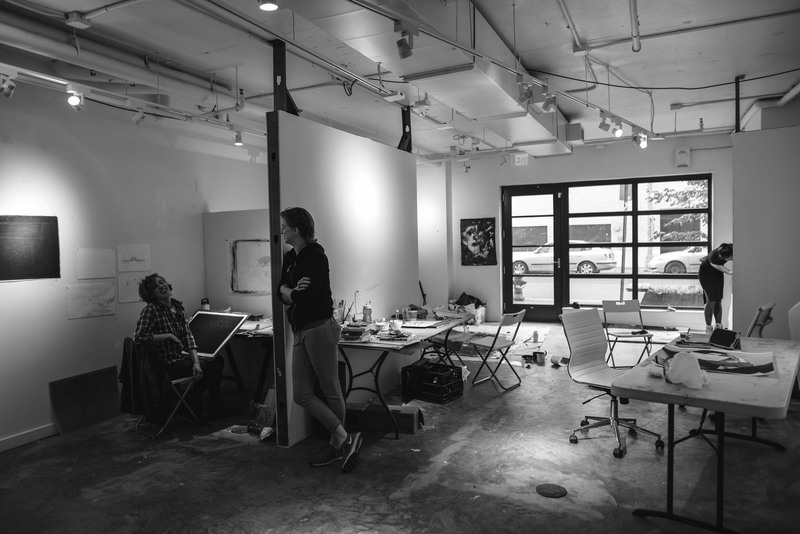 This is the second iteration of AMS, the first took place at Rhizome DC during spring 2018. 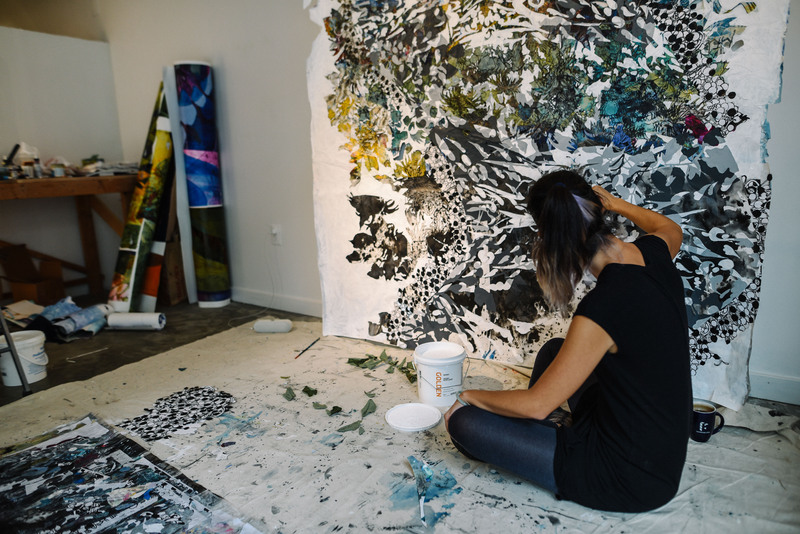 Leah Lewis is a multidisciplinary artist who lives and works in Washington, DC. Originally from Beaver Falls, Pennsylvania, Ms. Lewis has used humor and her interests in anthropology as a point of interest in her work. Katherine Tzu-Lan Mann received her BA from Brown University and MFA from the Maryland Institute College of Art. 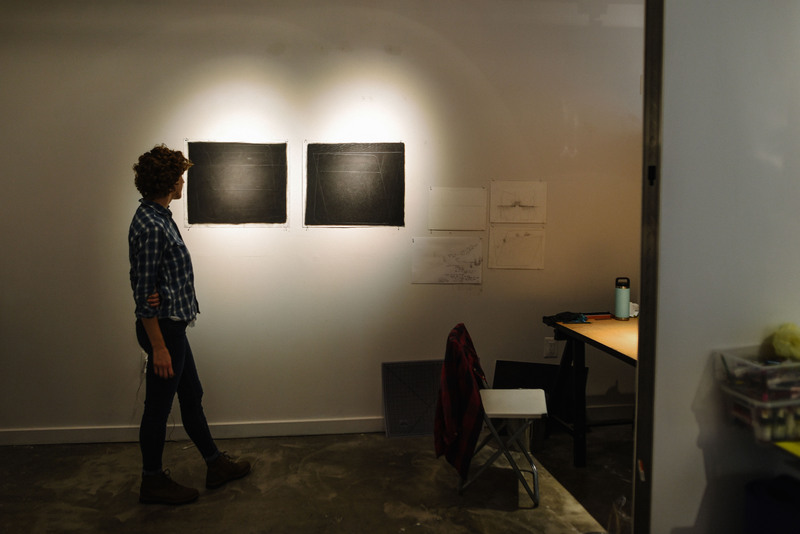 She is the recipient of a Fulbright grant to Taiwan, the AIR Gallery and Lower East Side Printshop Keyholder Fellowships in New York, NY, and the Individual Artist Grant, Arts and Humanities Grant, Mayor’s Award and Hamiltonian Fellowship in Washington, DC. She has attended residencies at Virginia Center for the Creative Arts, Blue Sky Dayton, Vermont Studio Center, Salzburg Kunstlerhauss, Triangle Workshop, Anderson Ranch Art Center, Bemis Center for the Arts, Djerassi Resident Artists Program, Facebook, and the Jaipur, India Carbon 12 Residency. Some of the venues where Mann has shown her work include the Walters Art Museum, Corcoran Gallery of Art, Rawls Museum, the US consulate in Dubai, UAE, and the US embassy in Yaounde, Cameroon. Mann is currently an instructor at the Maryland Institute College of Art. Anne Smith is a visual artist based in Washington, DC. Her art practice includes drawing, sculpture and printmaking, often along themes of space and ideas of home. Places such as her childhood and ancestral homes, the Potomac River, the side of the road, and other spaces entirely imagined are featured in her work. Smith is also a Teaching Artist at the National Gallery of Art and was Master Printmaker on a large-scale silkscreen book project at George Mason University’s Navigation Press. She studied silkscreen printmaking with Master Printmaker Lou Stovall, for whom she was a studio assistant for several years. Smith is represented by Adah Rose Gallery. Amy Hughes Braden is a DC-based painter who graduated from the Corcoran College of Art & Design in 2011. She works out of Red Dirt Studio in Mt. Rainier, MD. 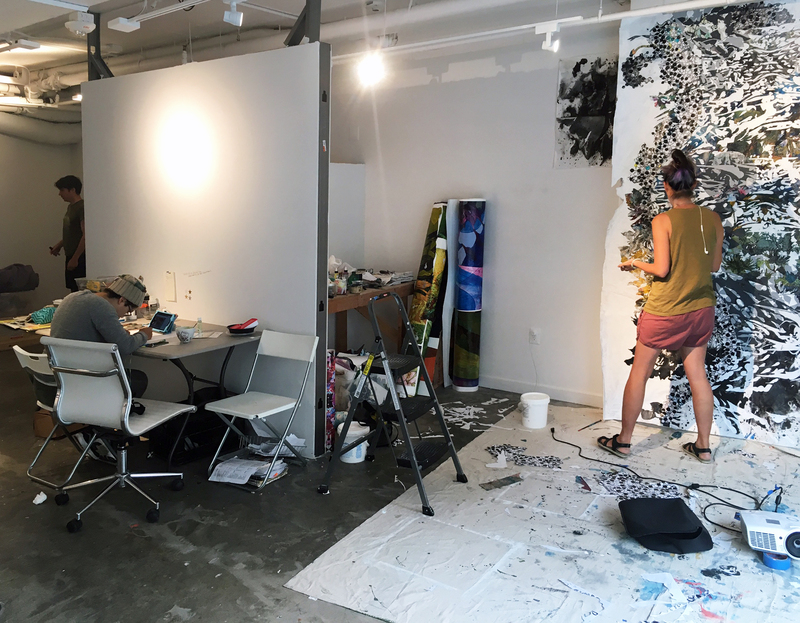 In addition to her painting practice, she is currently running the second iteration of Artis Mother Studio, a program she created with funding from the DCCAH to support caregivers who are artists, and highlight their invisible labor. Amy Hughes Braden and Raina Martens co-edited Maternal Journal. They assembled this zine from an open call, where contributors were asked to consider the June Jordan quote from above. This project is supported by the DC Commission on the Arts and Humanities, which receives support from the National Endowment for the Arts. AMS is also made possible with the generous support of the following individuals and businesses: Mary Margaret Plumridge, Carlyn Caruthers, Lynnette and Steve Hughes, Deirdre Ehlen MacWilliams, Lauren Hilyard, Andrea Limauro, Jocelyn Sigue, Jenny Fey, Joseph Katona and Rebecca Hook, Leslie Holt, Margaret Boozer, Elizabeth Carberry, Audrey Neff, Rachel Farbiarz and Sugar Shack Donuts.